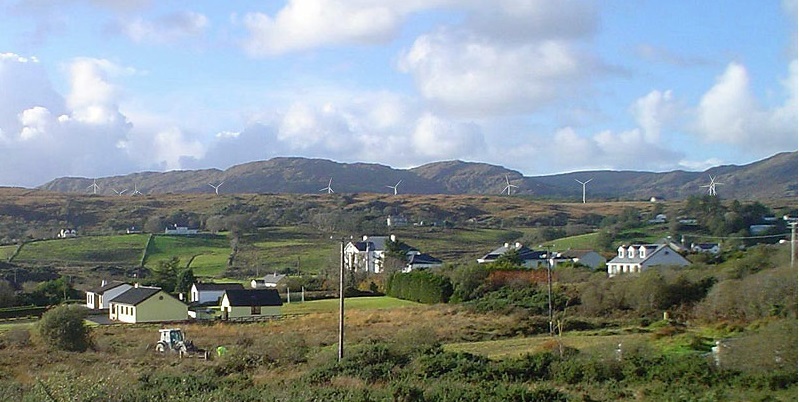 The proposed development at Meenachullalan, Killybegs consists of 14 no. wind turbines, 49 and 60 metre hub height and 52 metre rotor diameter. The site is a large flat open plateau situated at an elevation of 180 to 230 metres, and has full exposure to the Atlantic. The practice co-ordinated all aspects of planning including the preparation of the EIS. The project received full and final planning pemission in March 2004. Floristic assesment: Catherine Storey & Co.